Many of us have been enculturated to think about the nutritional dimension of our food intake in terms of the government’s recommended daily allowances (RDAs), focusing on getting the “right” amounts of carbohydrate, proteins, fats, vitamins, and minerals. However, I believe this focus on the quantifiable dimensions of food versus the qualitative elements has profoundly lead us astray. We bear witness to this in the fact that Americans are some of the most overfed yet simultaneously malnourished people on the planet. It is no wonder that we we are dying by the droves, with heart disease and cancer representing the most common (and also most preventable) causes of premature death. 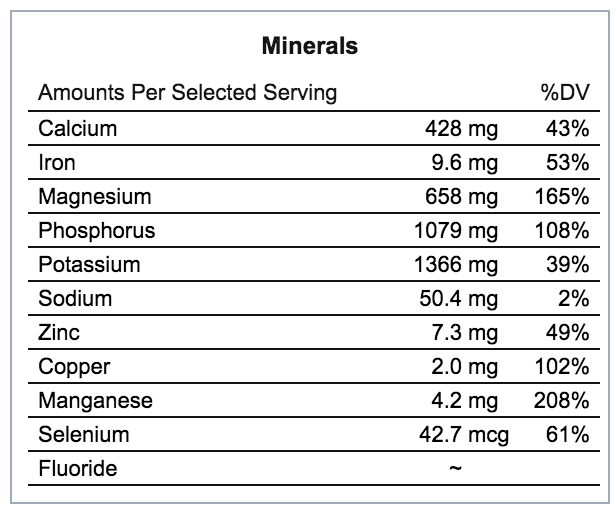 What if there was a nutrient-packed super-food which costs pennies a day that can greatly reduce the risk of dying not only these, but dozens of other life-threatening conditions? Would you take it? 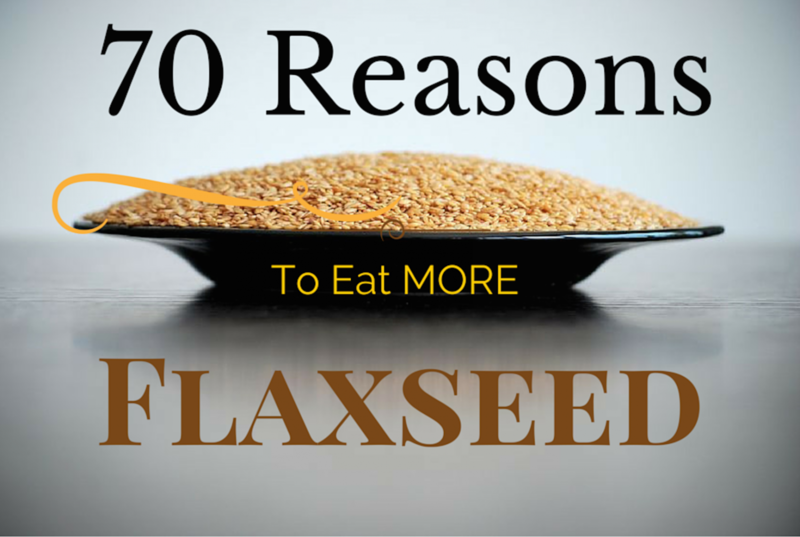 The good news is there already is: welcome to the amazing nutritional/medicinal potential of flaxseed! Admittedly, the title of this article is a bit over the top. Wouldn’t five good reasons, or even just one good reason be enough to consume it more regularly? After all, think of the millions of people around the world who take aspirin daily only because it promises to reduce the risk for one condition: namely, prevention of heart attack. A practice, incidentally, that is dubious at best, and for which natural and likely far safer and effective alternatives may exist. If we can establish the preventive value of flaxseed in only one serious condition, perhaps this alone would be compelling enough to convince our readers to start incorporating it into their daily dietary regimen. However, for those nutrition geeks out there who like to read the first-hand research, here’s our flaxseed database page, wherein you will find all the abstracts we have gathered on the topic of this seed’s immense potential in preventing and/or treating up to 70 different health conditions. For those who are interested in how best to take advantage of flaxseed’s many health benefits, but are unsure what is the best way to consume it, we address some of the most common questions below. First, keep in mind that flaxseeds are Nature’s ingenious design for preserving the precious cargo inside: highly therapeutic, though fragile polyunsaturated fatty acids, amino acids, and other fat soluble vitamins. This also means that you don’t have to worry about refrigerating it. Once the seed is ground up and exposed to air, light, ambient fluctuations in temperature, and time, it begins to “go bad,” i.e. oxidize and degrade. This is why many make a daily practice of grinding up their own seeds in a coffee grinder to ensure maximum freshness. While I think this is a great idea, not everyone will have the time or desire to adhere to this daily routine. This is why some purchase pre-ground flaxseed. I am not against the practice. My only stipulation is that the buyer make sure the manufacturer has nitrogen-flushed the container so that oxygen didn’t get into the package at the time of manufacture. As far as whole flaxseed, make sure that you chew it well, if you primary objective is to obtain the beneficial nutrients, lignans, and fiber from them. Also, consider that flaxseed produces a very soothing mucilaginous gel when exposed and/or soaked in water. You can pre-soak a tablespoon in a glass of water overnight to produce a very good concoction for constipation by drinking it in the morning. Because flaxseed will naturally soak up water, remember not to consume too much dry, whole flaxseed without adequate hydration, as it could be a bit binding – the exact opposite effect that it will naturally have when consumed in the correct manner. Never heat flaxseed oil: All oils rich in monounsaturated and polyunsaturated fatty acids are prone to enhanced oxidation (rancidity) when heated. This means that you would not cook with flaxseed oil, opting for naturally saturated (and therefore more heat stabile) fats like palm, coconut oil or ghee (clarified butter) instead. Get creative with flaxseed meal: Flaxseed meal is an excellent addition to smoothies or for sprinkling on foods that have a higher glycemic index, e.g. pasta, cereal. The flaxseed meal will slow the breakdown of the starchy carbohydrates and therefore blunt blood sugar spikes and concomitant elevations in insulin. Also, the fiber is excellent for helping to contribute to regularity (it is useful both for going too much and not enough). The key, of course, is to always stay hydrated when using flaxseed, as it can cause significant binding in a dehydrated individual. 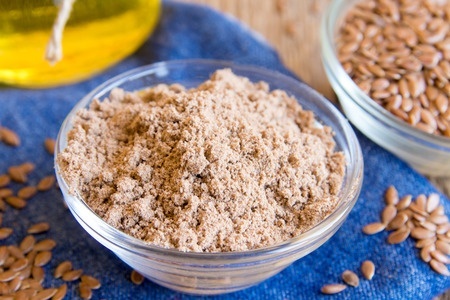 Flaxseed is full of good fats: Keep in mind that flaxseed is a potent source of omega-3 fatty acids, containing a 4:1 ratio of omega 3 to omega 6 fatty acids. 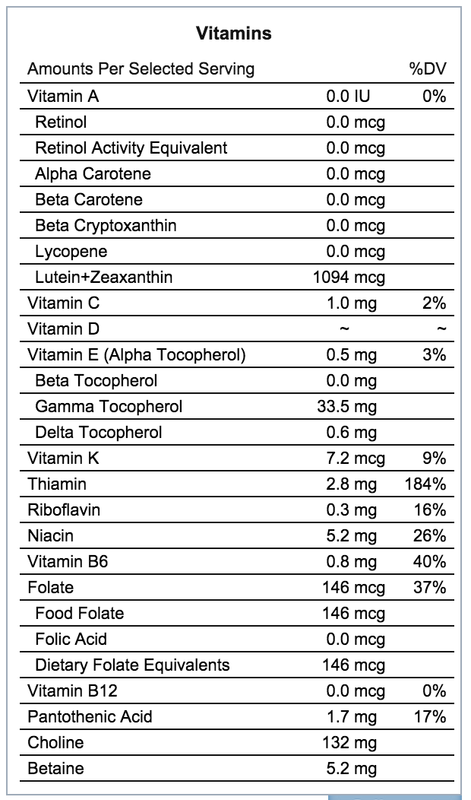 This is a great way to balance out the predominant ratios in the Standard American Diet, which is so heavy in corn, canola, soy, and peanut oils, all of which have several orders of magnitude more omega 6 than omega 3. Generally, a tablespoon or two of meal a day is a good dose for ensuring you are getting a physiologically significant amount. The same goes for the oil. I have personally consumed five tablespoons of meal a day without any harm, and have used a good amount of the flaxseed oil in place of olive oil as salad dressing (I happen to like the taste of flaxseed better). Everyone will be different, so go with your intuition if you are just experimenting. If you are sick, consult your health practitioner or dietary coach to obtain specific recommendations. Also, listen to your body. If you aren’t finding flaxseed agrees with you, then back off on the amount or stop it until you find another dietary intervention that does work for you. Another alternative that has many of the same health benefits is chia seed. We’ll leave you with some nutritional snapshots of flaxseed from the more quantitative perspective, so that it is clear how valuable it is in human nutrition simply as a source of both macronutrients and micronutrients, above and beyond its clearly medicinal function (a reflection of what I would call it’s “therapeutic information” content) in the wide range of health conditions our database shows. 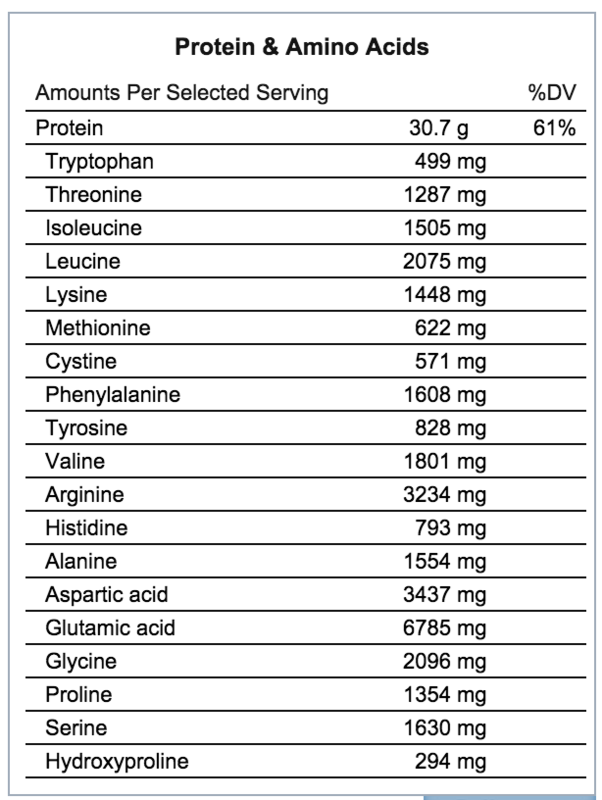 The information below is based on 1 cup (168 grams) worth of flaxseed whole. For more nutritional data on flaxseed, visit the Nutritiondata.com website.